I was recommended to the Goldman Firm by a 3rd party and I had a wonderful experience due to their professionalism. The Attorney who took my case was Mrs. Dean who was enganged and very caring and detailed oriented on my case delivering a positive result in my favor. Would recommend this firm to anyone in need of a responsible prestigious Law firm and due to my experience, Mrs. Dean would be someone to reach out as her results will come thru in your favor due to her diligence. This office is fantastic. I was faced with a horrible situation and this office helped to put an end to the untenable situation. Ms. Kendal Schoepfer was always available before, during, and after office hours to answer any questions that I had. I highly recommend this law office to all. Kendal was an amazing answer to a difficult time. Highly recommend her!!! She’ll help you save money and time! I spoke to Holli today to help with a traffic violation and she was nothing less than amazing! She replied to all of my emails in a timely manner and insured that i was well aware of all of my options. I will be reccomending Holli to anyone i know that needs legal care! Thank you so much for having patience and taking the time to genuinely help me. The best part about it is that her advice saved me a ton of money because i spoke to a different lawyer from another law firm and they tried to make me pay $1250 without even asking about my case. Thanks again Holli, you’re amazing! Result better then we could have asked for. Holli Dean Is the Best Lawyer you could ask for. She will go above and beyond for you case, She Cares about your children and their safety . She has this calm about her that even when you are a nervous wreck makes you feel better. She is one and a million and we are so beyond blessed that she has be here for us. I wouldn't trust anyone but Holli. "After years of trying to protect my assets from creditors, I was shocked to find out that my assets were unprotected in ways I had never considered. Not only had I placed my assets at risk from my mother's creditors, but I had placed my assets at risk from other family members who were intent on manipulation. When my mother died, I discovered that a family member had changed my mother's estate planning documents. Mr. Goldman and his team were able to explain what went wrong and successfully defended my position in court. During the case, I learned that I could have had much better protection from family and creditors, thus avoiding years of litigation and undue familial stress. When it comes to protecting your assets and your family, I would highly recommend hiring Mr. Goldman and his team." 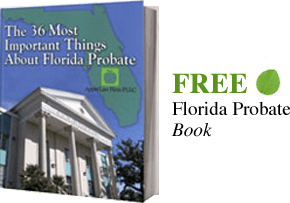 "As a real estate agent, I have been involved with many property transactions where I needed a probate attorney to help facilitate the transaction. I have used the services of Mr. Goldman and his staff over the last several years and continue to use them on a regular basis. His office has been able to navigate the court system and help estates sell their property quickly and efficiently. In addition, Mr. Goldman can help real estate investors structure trusts to protect their assets from creditors." David was hired to execute an estate planning package for my sister. It included a Living Will, Durable Power of Attorney and Last Will and Testament. He was considerate, patient and quite well informed and knowledgeable. He designed a package that perfectly reflected my sister's needs, both current and future. Needless to say, I would definitely hired David again and recommend his services. After struggling with 2 probate cases prior to hiring attorney Goldman I was extremely apprehensive during the hiring phase. Not only did Attorney Goldman assure me they could take care of this his office was wonderful. Jennifer was assigned to my case and she was wonderful and were able to guide another probate case I had saving me additional time and frustration. Highly recommend this office. This was the first time that I needed to use a lawyer and I'm very glad I chose David Goldman. He and his staff were very reassuring and I felt at ease the entire time. They made my experience very smooth and enjoyable. I highly recommend Mr. Goldman to anyone who needs a knowledgeable lawyer as well as a fair person. I can't say enough about this law office! David Goldman is an outstanding, professional attorney who is a Five Star Elder Estate planning firm who consistently over many years has given our family great advice. This firm goes above and beyond in providing legal advice. We highly recommend David Goldman and his outstanding staff in his office! David is an excellent attorney with a keen mind. When I was being sued by an unethical employee he came up with an "outside the box" idea that I am quite sure not many attorneys would have thought of. It completely decapitated the opposing attorney's case and lead to a very favorable settlement for me. He has also helped me by setting up a Revocable Trust and with Asset Protection. I've had Mr. Goldman do my entire estate planning as well as my gun trust. I highly recommend him and his firm. If you're planning a gun trust, trust no one else mr. Goldman is one of if not the best versed on this topic. Great service is an understatement. We bought several properties that Mr. Goldman handled for his clients. The communication and explanation of everything was terrific. I would definitely recommend him for all of your real estate needs. I wanted to take this opportunity to leave an unsolicited review of David Goldman. I utilized his services a few years ago to establish a Gun Trust. This was my first attempt at setting up something of this nature. Naturally, I was a little hesitant to use an online resource. However, after doing my due diligence, I proceeded with David. The process went flawlessly. I could not be any happier with my decision to use his services. More importantly, was the service after the sale. Since my initial dealings with David, I have had various questions surrounding my trust. David has always been prompt in his replies and he has been cruical to getting matters handled expeditiously. He has never once seemed bothered or put out by any question that I may have sent his way. I wholeheartedly endorse David and his services. If you are looking for someone who you can absolutely trust to take care of your needs, David Goldman is the attorney for you! I have used David for his Estate Planning and Asset Protection. He has created several Automobile trusts for my family and new drivers. He has also formed several businesses for me. He has done my Gun Trusts and helped me get my suppressor for one of my firearms. His firm has always been very responsive. David Goldman is an outstanding attorney and the expert in Gun Trusts. He is the utmost professional, responsive, and his staff is wonderful. We had an excellent experience working with Mr. Goldman to craft a comprehensive estate plan. He was very patient in his evaluation of our previous documents and worked with us to transition to a plan that better fit our needs. He was always very approachable and answered our questions regarding a significant number of details that were initially unclear to us. We were never hurried in the process and we felt comfortable that the plan was as definitive as possible. We were able to easily complete the entire process from our home and we relied on secure electronic media to convey the necessary documentation. The process was very sophisticated but simple to complete. We would highly recommend Mr. Goldman to other residents of Florida for their estate planning needs. I have dealt with several law firms over the years concerning family related matters and David M. Goldman and his staff really stand out head and shoulders above all the rest. They were patient, kindly, got everything done in a timely manner at a very reasonable cost. I never had to deal with excuses for lack of progress or hidden costs. They took the time to explain everything that I wanted or needed to know. They are people-oriented and go above and beyond in their efforts. They are true professionals and I highly recommend them. I was recommended to the Goldman Firm by a 3 rd party and I had a wonderful experience due to their professionalism. The Attorney who took my case was Mrs Dean who was enganged and very caring and detailed oriented on my case delivering a positive result in my favor. Would recommend this firm to anyone in need of a responsible prestigious Law firm and due to my experience , Mrs Dean would be someone to reach out as her results will come thru in your favor due to her diligence. We went here for assistance with legal matters after our marriage. We were able to get Power of Attorney, Trust, and Will documents drafted. I'm certainly no expert, but they all look well written and were explained well. Everyone was very pleasant and the atmosphere was very professional. We were pleased with the whole process and learned a good bit. David Goldman and his staff have been an extremely valuable asset to my growing company. They are very responsive and informative. David is an outstanding attorney. I have had the pleasure of working with him on a few matters and he has gone above and beyond for the benefit of our clients. Highly recommended. I have known and been following David Goldman for years. He is a well-respected authority on all matters related to estate planning. He makes significant contributions to the estate planning legal community.